What could be a more exciting way to spend an evening than sharing a cool game with your friends? While other people may remain stuck in front of the TV or glued to their smartphones, you should choose something different. And by different, we mean interactive, fun, and, yes, stimulating for your brain. Whether you are an adult or a kid, you will love investing a bit more than just your passive attention into the entertainment you’re planning with your buddies, and the best way to do that is by getting everyone on board to play a new game. 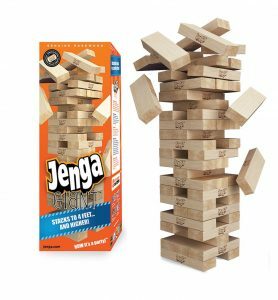 The Jenga Giant Genuine is the kind of entertainment to get everyone overly involved in the suspense that comes with playing such a game. While you may like to think that Jenga games are mostly kids’ games, adults can get just as engaged. Even if you are only on the sidelines watching, you will find yourself taken with the thrill of the game. Stack the wooden pieces and reach as high as you can! Will the tower crash down? Do you have what it takes to reach higher than your friends? With a game that combines fun and strategy like this, you’ll never grow bored. 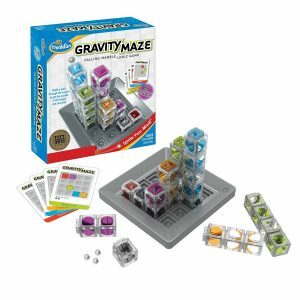 If you have been searching for a game to stimulate your kid’s intelligence, the Gravity Maze may be precisely what you’re missing from the collection of toys and games you have at home. An award winner that comes with multiple challenges for beginners, advanced players, and experts, this game is easy to learn, yet tricky to master. Challenge your kids to a game that, in turn, will challenge their ability to solve problems. The best way to make sure that your children develop their cognitive and problem-solving skills is through games, and this is precisely what this game offers. Who doesn’t like to play doctor? This profession must be one of the most fascinating for children, and even for adults. If your dream of becoming a doctor is yet to bear fruit, here is the fun alternative and you don’t have to go to med school to enjoy it. When looking for games for long nights of fun with friends, this is an ideal option. 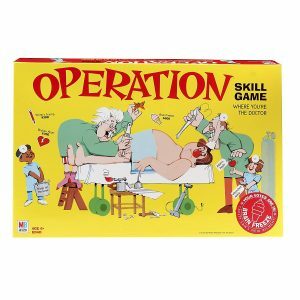 Using skill and intuition, try to ‘cure’ the patient on the table for all the ailments he seems to suffer from. Each time you’re successful, you receive a reward in the form of the amount the card shows. At the end of the game, the most skillful doctor wins! Some games are best played with friends, while others are best played alone. 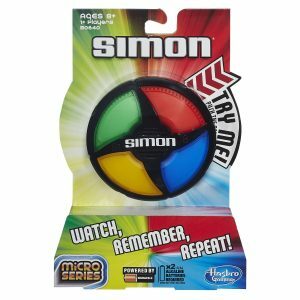 The Hasbro Simon Micro Series is both. Whether you want to play solo, or you want to challenge a friend to a battle of who wins the most points, this game is the perfect way to do that. The game will give you commands, and you will have to achieve the right sequence by bopping, twisting, and pulling the small device. It even has two modes, for solo players, and the ‘Pass It’ mode for the times when you want to play this game with a friend. 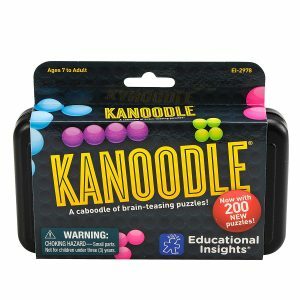 Another award-winning game that makes it to our list is the Educational Insights Kanoodle. Featuring more than 200 puzzles, it is pure fun in a small package. Some challenges are basic and fun, while others are challenging and even more fun. With hundreds of combinations at your fingertips, you’ll never have time to grow bored. The 12 puzzle pieces and the illustrated book that contains all the new puzzles are held in a carrying case. 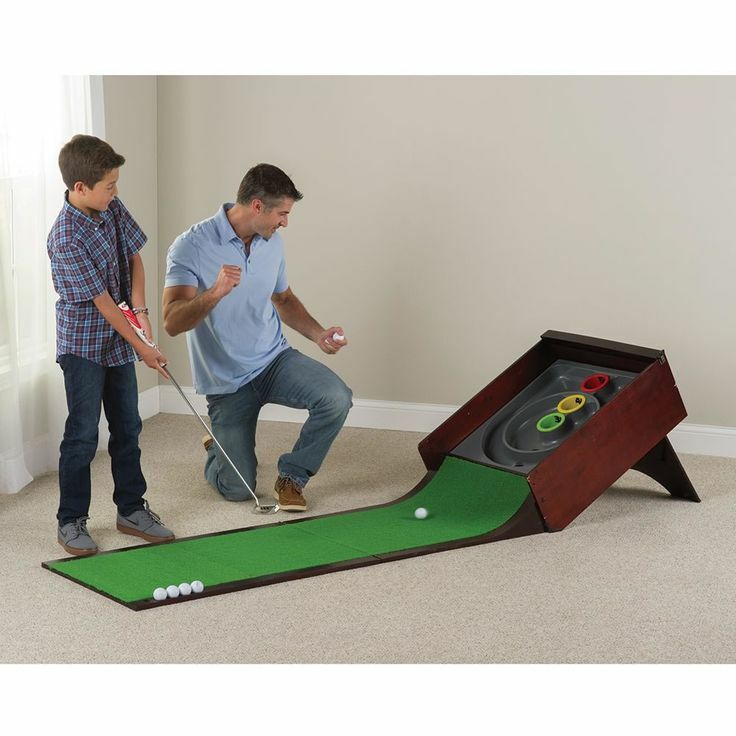 If you need a game that will keep your little one occupied, this is an excellent option, as it is easy to carry around, and offers endless entertainment. Given the many technological advances that we have witnessed only in the past couple of decades, having fun has changed drastically in recent years. While we used to go out and play as children, now we don’t do the same. It’s true that most of those whose childhood happened at the beginning of the 80s and 90s are all grown up now, but things are totally different from several perspectives. On the one hand, we have our smartphones to keep us company at all times; on the other, we’re less in tune with what’s happening around us. For instance, we might find out about some natural disaster happening in some remote part of the world, but we might fail to look at the sky on a day when we’re working from home. With so many changes, it’s safe to say that it has now become a challenge to find the best games to play at home. Introverts are well aware of the fact that the best games to play by yourself are those that make you feel as comfortable as possible. For some, this might involve going out and for others, this might mean a PC game with spectacular graphics. Looking for new games to play with friends or just good games to play when bored? If you’ve run out of ideas, we believe we might be able to give you a hand. You’ll find all of the details you should keep in mind if you’re in the market for a choice or if the hours of waiting you might have ahead of you don’t appear to be interesting in the least. First off, you need to understand what you are searching for. If you’re looking for PC games for 2 players, the multitude of those you might come across might leave you feeling downright baffled. There are many to consider and most of them have excellent graphics. Besides, there’s nothing stopping you from asking one of your friends to go online and play with or against you. The next option you have is to try a board game. While this kind might not be one of the best games to play by yourself, there are some alternatives you can always come back to. Some of these are Friday, Pathfinder Adventure Card Game: Rise of the Runelords, Legendary Encounters: An Alien Deck Building Game, Mage Knight, and others. The costs of PC and board games aren’t all that different particularly if the first are well-made and come with amazing graphics. Call of Duty WWII might cost up to sixty dollars or more, especially if you don’t get it when it is on sale. However, you need to ensure that you choose the right option for what you have in mind and what you feel most comfortable with. Plus, to play a good PC game for hours on end, you need to have a good gaming chair. Are you looking for games for yourself or do you have to entertain the kids? Many parents know how difficult it is to keep their children entertained at all times. That’s why it is a good idea to consider a variety of choices such as Hopscotch, Jenga, or Bananagrams if you plan to take your son or daughter to a place where they might not have another child to interact with. If you’re trying to find one of the best games to play before you die, things might be a bit easier to manage. One of the things you can do is go online and do a bit of research. Take the time to read some articles on one or two-player games that you can have fun with when you’re planning a day where you stay at home and relax. Playing Cards Against Humanity or Exploding Kittens all by yourself might not be the best way to go about things. However, there are some PC games that might leave you feeling scared, and they might be excellent for times like Halloween. One of them is The Walking Dead, which as you might have guessed by now, is inspired by the TV show of the same name. In this computer game, you play a character whose name is Lee and who connects with several other survivors and they all try to make the most of the new world, where they have to co-exist with zombies. Dishonored is another game you should give a shot to if you’re into ways of having fun by yourself. If you like genres like murder and mystery, you ought to try this one as what you’ll have to do is prove your innocence by taking down those that have framed you for killing someone. If you’re into dystopian books and movies, you might as well take a chance on Half Life 2. In this game, you play Gordon Freeman, a hero and scientist who’s doing his best to save humanity by destroying the alien species that has taken over our planet. As you can see, there are many alternatives to choose from and many of them come with scenarios and storylines you should definitely check out if you’re not afraid of a bit of creepiness and gore. Classic cards are cool because they don’t cost a fortune, and let’s face it, most people have one in their homes already. 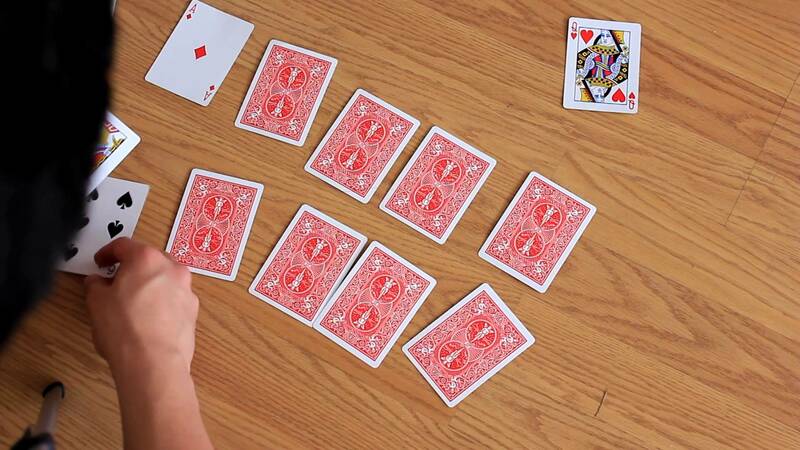 If you’re feeling really bored, you could build a card house, play elevens, Solitaire, Garbage, and many others. Finally, if you’re all out of ideas, you can even go online and look up some basic principles of cartomancy and fortune telling by playing cards. Just make sure to avoid taking yourself too seriously because the last thing you’d want to do is come up with some unpleasant situation that might not even happen in the future and that you might end up being scared of.